This is Natural Bridge in Queensland, Australia. It was created by Cave Creek which is a tributary of the Nerang River. 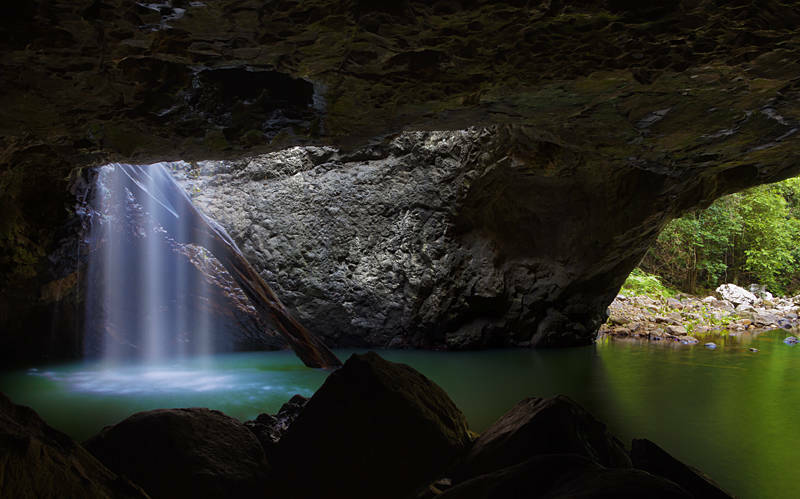 The waterfall is surrounded by subtropical rain-forest in the Numinbah Valley. It is home to a colony of glow worms. As it is only 1hr from Southport we made it a day trip so missed the night lights. It looks like an interesting place and it is heartening to read about the restoration of the rain forest that is going on.